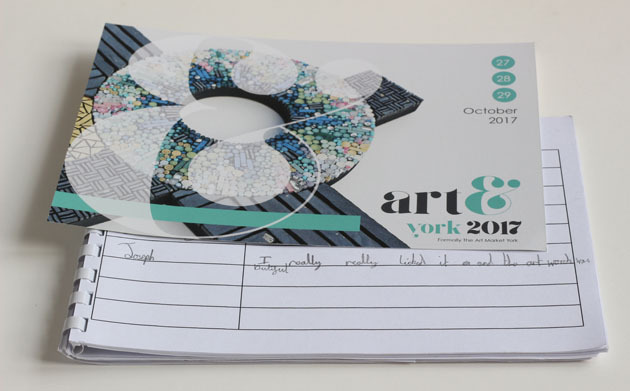 A family visited my stand at Art& show York at the weekend and one of the youngsters left a note in my Visitor Book about his experience of the show, which summarizes the event perfectly I think …. ‘and the artwork was beautiful’. It was such a busy weekend so I didn’t manage to get round to see all the other artists as planned – but here as a little review are some that caught my eye. 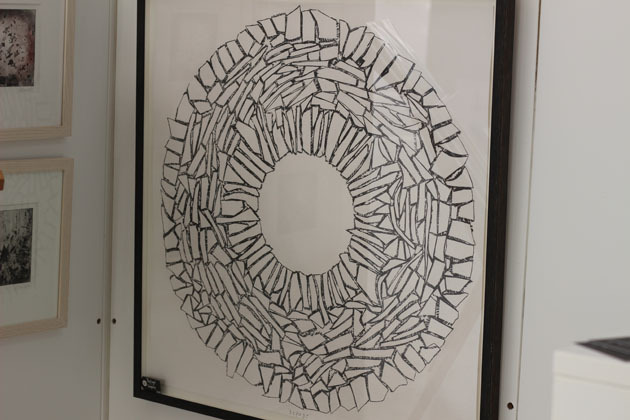 I loved these drawings of stacked stones, walls, and especially the stones in a circle. 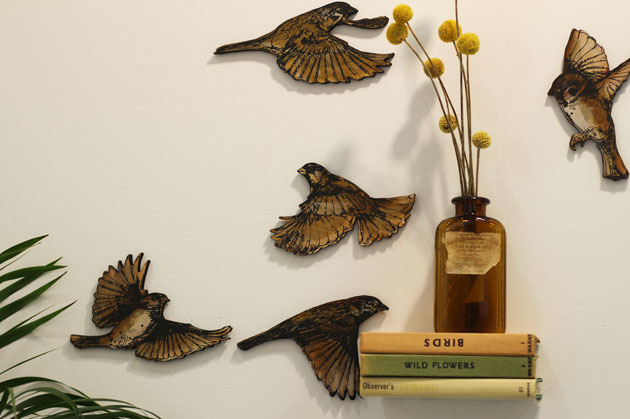 They are by Ami Horrocks – Art from Nature, she had some beautiful images of leaves as well. 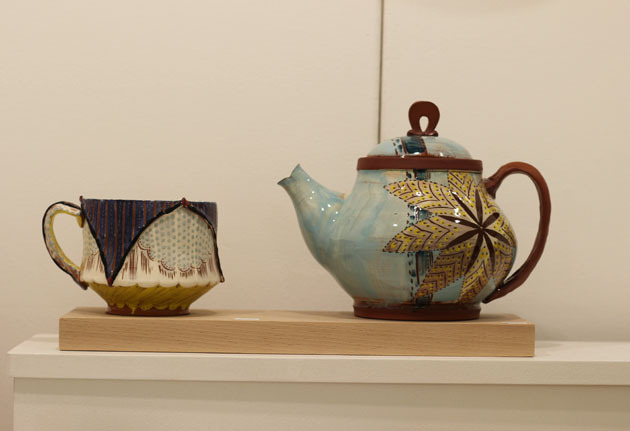 Victoria Claire Dawes is a studio potter, working in red earthenware and had a fabulous display of plates, mugs, bowls and pots – here is a teapot from her Teresa collection. 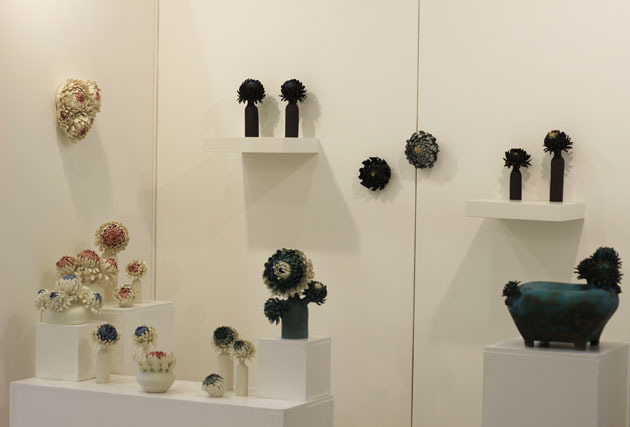 Another ceramic artist who wowed me was Linda Southwell. 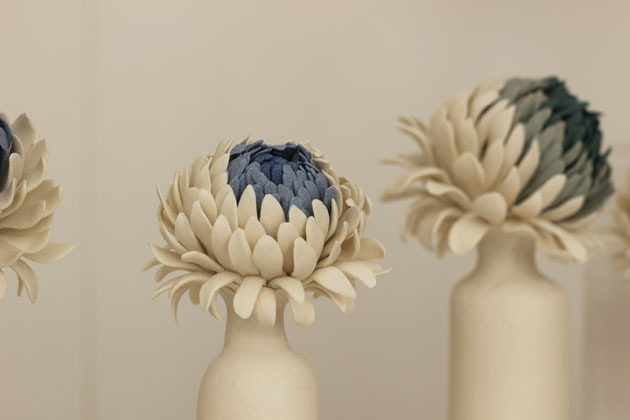 Just look at the intricacy of those hand-built sculptural flower heads – organically inspired and meant to delight the senses! 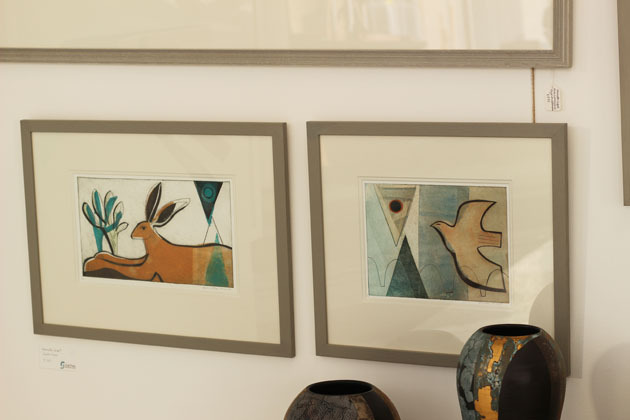 Jenny McCabe artist and printmaker – also a bird lover! 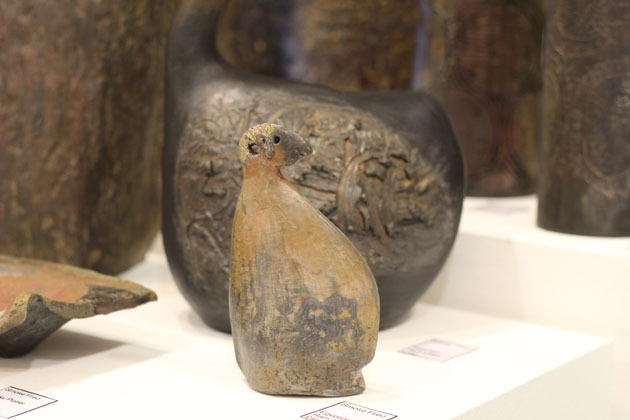 The use of oxides, glazes and slips in Rosemary McGarr‘s ceramic work really appealed – pieces looked ancient, earthy and primitive, she had birds as well, but I liked this little ram. I had quite a conversation with Ralph Shuttleworth about how he makes his contemporary wood turned sculptural pieces and was so intrigued by these ones. 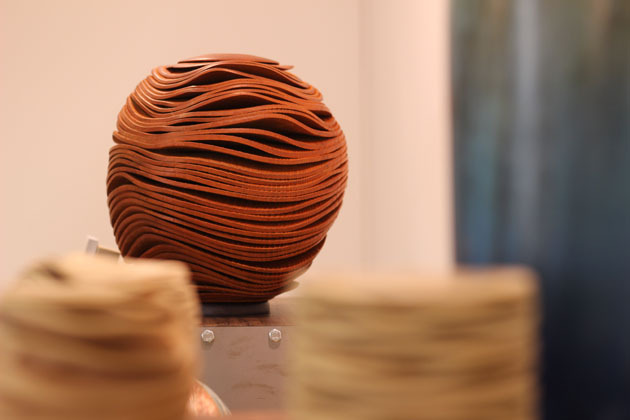 It might be that the sculpture by Alison Coaten was my favourite at the show. 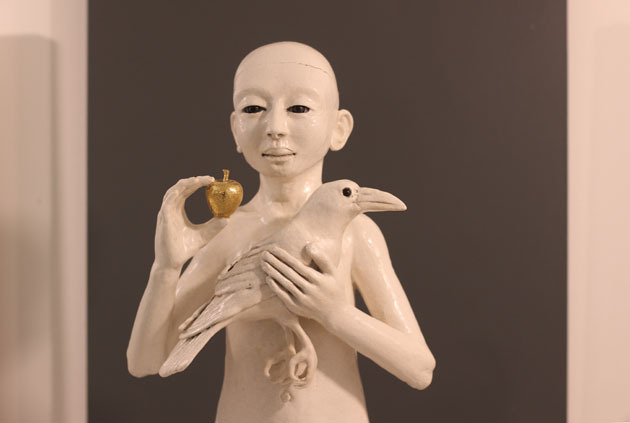 I stood in front of them for some time, they’re brilliant and extraordinary and it was lovely to briefly meet Alison – she hand builds in stoneware using a limited palette of white crackle glaze and gold lustre. Also these two Henrietta Corbett prints, being shown by Staithes Studios, really stood out for me. Wish I could have met more exhibitors – you can see all artists at Art& Show York 2017. One more artist I must mention is water-colour painter, illustrator and paper maker Erica Just who had the most sensitive and delicate grass paintings on display. Her work is inspired by nature, meadows and hedgerows, and I couldn’t help buying some of her exquisite plant cards at the show. I had a wonderful time – thankyou to all who visited my stand, made appreciative noises, made purchases, stroked and handled my stone sculpture, and to those who stopped and talked – your support is so much appreciated. Some lovely work there. 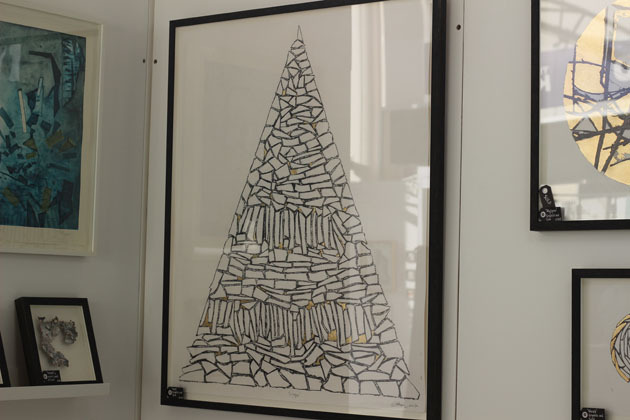 I particularly like Linda Southwell’s and Jenny McCabe’s work. and that red turned wood piece is amazing. Its really exciting, and inspiring, to find work you like isn’t it – so good for making you think differently too!